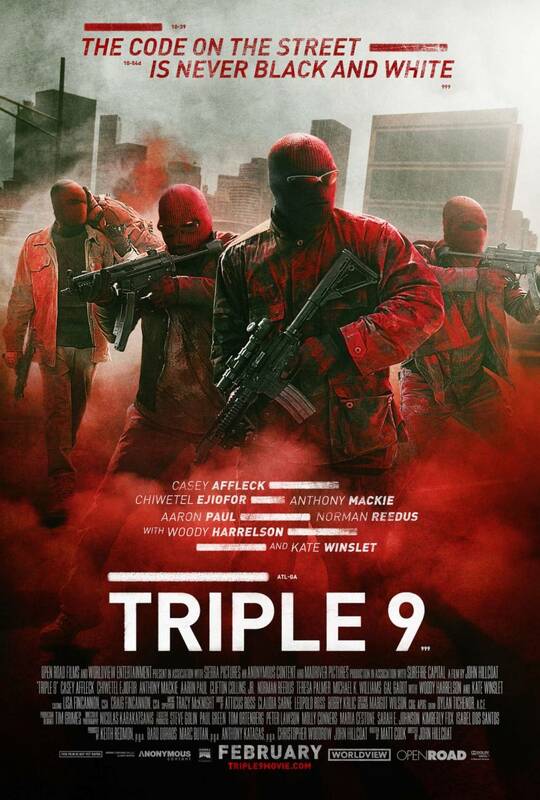 Triple 9 is a crime thriller written by Matt Cook and directed by John Hillcoat (Lawless, The Road). The film features an all star cast including Chiwetel Ejiofor, Casey Affleck, Anthony Mackie, Woody Harrelson, Aaron Paul, Kate Winslet, Gal Gadot, Norman Reedus, Teresa Palmer, Michael Kenneth Williams, Clifton Collins Jr., Michelle Ang, and Terence Rosemore. 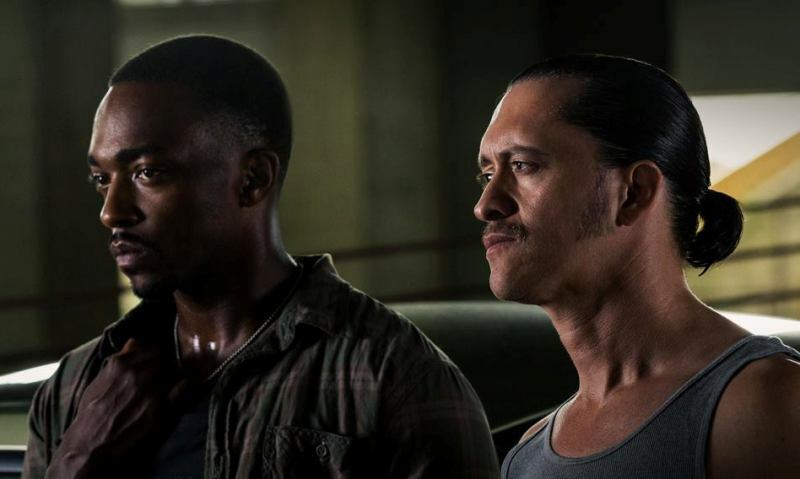 This movie reminds me a lot of other films that cover similar territory but the best way I can describe it is as a mix between Heat and Training Day. The story is pretty intense and will keep your attention throughout although it's the all star cast that really keeps it from being an otherwise mediocre film. It's interesting to see a movie with this much star power get so little push from its studio, I feel like it should have had a much bigger release at a much better time of year. I was trying to think who is the primary star of this movie, but it's really more of a true and balanced ensemble cast where no particular individual shines above the rest. 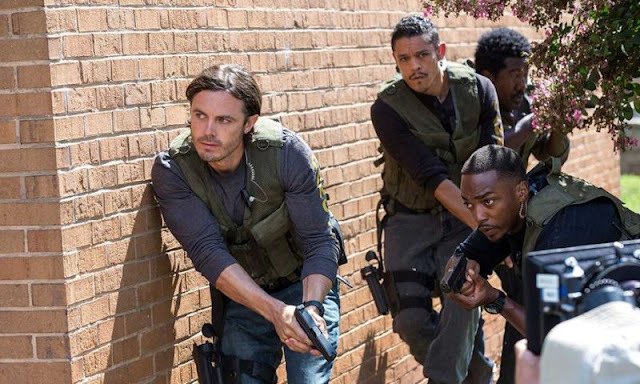 Of course, we get great performances from Woody Harrelson and Chiwetel Ejiofor but, out of anyone, I was most impressed with Casey Affleck and Anthony Mackie as the reluctant duo who eventually become the driving force behind the film's climactic moments. Gal Gadot is in the movie briefly yet she still manages to light up every moment that she is on screen further proving that this wonderful woman is destined for Amazonian levels of greatness. Triple 9 is a brutal look into the side streets and back alleys of crime ridden neighborhoods where even those in positions of authority are blurring the lines between right and wrong. An outstanding cast elevates a solid story and some really intense action sequences pull everything together into a very entertaining effort. If you are a fan of the genre, you will definitely want to check this one out.